For years, parents have been told to withhold peanuts from their children until the age of three, to prevent the onset of dangerous peanut allergies. A landmark study is now throwing this conventional wisdom on its head, instead suggesting that most peanut allergies can be staved off by introducing peanuts to children early. The prevalence of peanut allergies among children has been rising steadily for years, especially in the West. It's also starting to appear in Africa and Asia. In the U.S., for example, the number has more than quadrupled since 2002, growing from 0.4% in 1997 to 1.4% in 2008 to more than 2% in 2010. For Americans, it's now the leading cause of food-related anaphylaxis and death. Back in 2000, the American Academy of Pediatrics (AAP) told parents to stop feeding peanuts and peanut products to their children until they reached the age of three. Despite this, prevalency rates of peanut allergies continued to rise, and by 2008, the AAP had retracted its recommendation for lack of proof. At the same time, correlative studies were starting to show that allergy rates were higher among populations practicing early food-avoidance compared to those who were not. What's more, some studies showed that early introduction of egg and milk could be associated with a decrease in related allergies. The new study, which appears in The New England Journal of Medicine, is now providing some concrete evidence. In a controlled trial, a group of 530 infants aged 4 to 11 months at high risk of developing peanut allergies (determined via skin-prick tests) were randomly assigned either to be fed food with peanuts (consumption group) or peanut-free foods (avoidance group). The children were fed at least six grams of peanut protein each week, about 24 peanuts' worth. This went on until they reached the age of five. Around 10% of the children were eventually excluded from the study for fear of severe reactions. The results were striking: By age five, the overall prevalence of peanut allergy in the avoidance group was 17.2%. In the consumption group, it was 3.2%. 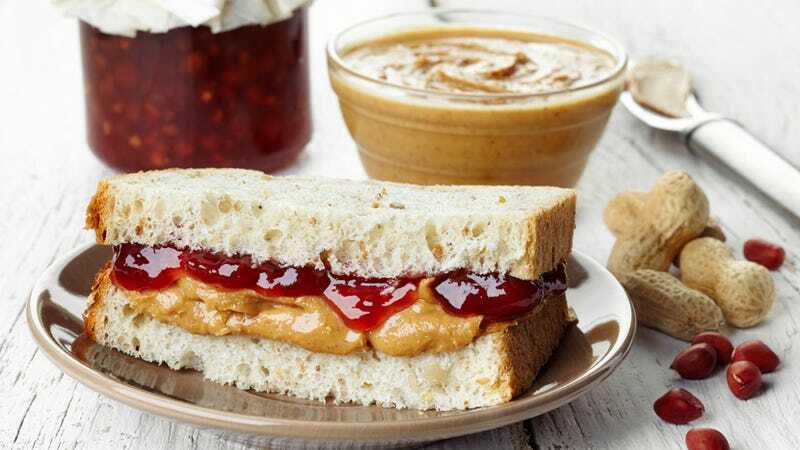 For those kids who initially had a negative result on the skin-prick test, the prevalence of peanut allergy was 13.7% in the avoidance group and 1.9% in the consumption group. For those with mild sensitization to the skin-prick test, the prevalence was 35.3% in the avoidance group and 10.6% in the consumption group. The study seems to conclusively demonstrate that early peanut consumption is an effective form of allergy prevention not just for high-risk infants, but in infants with mild to moderate peanut sensitivities, as well. As the authors conclude in their study: "The early introduction of peanuts significantly decreased the frequency of the development of peanut allergy among children at high risk for this allergy and modulated immune responses to peanuts." Parents knew which group they were in. And the study was done at a single site in London with 75 percent white children. However, the results were the same for the small number of children of other ethnic groups in the study, the researchers said. Should we recommend introducing peanuts to all infants before they reach 11 months of age? Unfortunately, the answer is not that simple, and many questions remain unanswered: Do infants need to ingest 2 g of peanut protein (approximately eight peanuts) three times a week on a regular basis for 5 years, or will it suffice to consume lesser amounts on a more intermittent basis for a shorter period of time? If regular peanut consumption is discontinued for a prolonged period, will tolerance persist? Can the findings of the LEAP study be applied to other foods, such as milk, eggs, and tree nuts? Clearly, given just how entrenched the "don't feed peanuts to your infants and toddlers" meme is in our culture, it's going to take a long time to overturn. Check out the entire scientific study, and be sure to read the editorial.